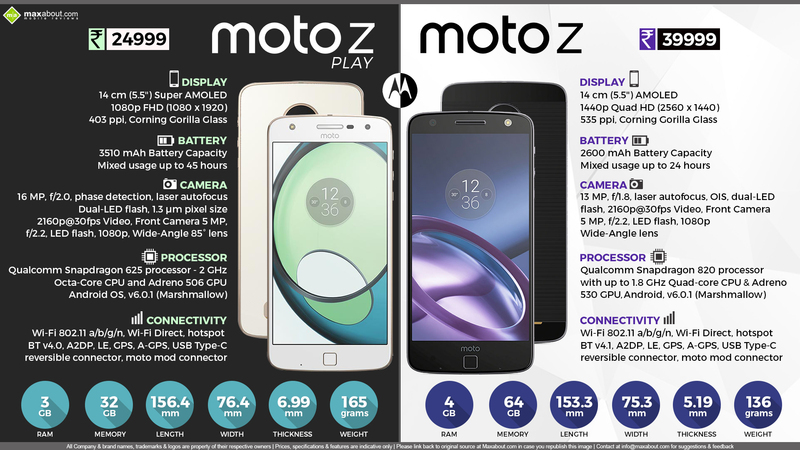 Well, the wait for the prices of the latest Lenovo Moto Z and Moto Z Play is also over. The duo smartphones which were introduced in June at the Lenovo Tech World 2016 have been launched in India at a price tag of Rs. 39999 and Rs. 24999 respectively. The most amazing part is that despite expected features like 5.5-inch Quad HD AMOLED display, quad-core Snapdragon 820 SoC etc., the phones have got Moto Mods located at bottom back of the phones and can get attached to 16 pins. Availability: Amazon and Flipkart exclusively from 16th October 2016 midnight. Availability: Amazon and Flipkart exclusively from 17th October 2016 midnight. Downloaded 25 times this week.